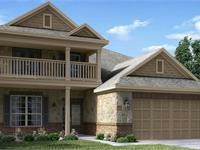 currently under construction at 20614 Eagles Rest Boulevard, Spring. Sales for available units range in price from $260,990 to over $327,990. Laurel Park - Brookstone and Icon Collections unit sizes range from 2097 to 3008 square feet. The Brookstone and Icon Collections by Lennar offer the perfect combination of beauty and affordability. These homes are perfectly suited for all family sizes and feature fantastic included amenities you'll love, such as an island kitchen, a first floor master suite with en suite master bathroom that features dual sinks, large walk-in closets, a relaxing covered rear patio. An extended garage must be included for all homes completed in the Laurel Park: Brookstone and Icon Collection sections. This feature will add an additional cost to the base pricing for each Brookstone and Icon Collection home plan located in this section of Laurel Park. Lennar’s Next Gen® series of homes is available in the Laurel Park: Brookstone and Icon Collections. These homes are perfect for a variety of dual living situations and include a separate entrance, living space, kitchen, bedroom and full bath. Lennar designed these unique floor plans to be incorporated into the main home in a way that allows it to be a separate space, but also offers direct access to the main home. See a New Home Consultant for more information! Your inquiry will be delivered to the Laurel Park - Brookstone and Icon Collections sales team, who will send you more information about this development.